BANK OF NEW YORK MELLON LONDON BRANCH Vs. ZENITH INFOTECH LIMITED . Respondent: ZENITH INFOTECH LIMITED . 2. At the very outset, it will be necessary to take note of the relevant statutory enactments and changes that have come about after hearing of the case had been concluded. The said enactments and the changes in the existing enactments give rise to a somewhat altered scenario, as will be noticed hereinafter, though essentially the core of the question that has arisen remains substantially unaffected. 3. The Sick Industrial Companies (Special Provisions) Act, 1985 (hereinafter referred to as “the SICA”) had been repealed by the SICA Repeal Act, 2003. However, it is only by Notification dated 25.11.2016 that the repeal has been given effect to on and from 1.12.2016. Under Section 4(b) of the repeal Act, all proceedings before the B.I.F.R. or the Appellate Authority, as the case may be, stood abated and in respect of such abated proceedings provisions have been made to enable the company to seek a reference as per provisions of Part VI-A of the Companies Act, 1956 within 180 days from the date of the repeal Act. Interestingly, the provisions of Part VI-A of the Companies Act, 1956 which, though brought about by the Companies (Second Amendment) Act of 2002 had/have not been made effective. In fact, effective 1.11.2016 Section 4(b) of the Repeal Act has been amended by Section 252 of the Insolvency and Bankruptcy Code of 2016 (hereinafter referred to as “the Code”) and provisions have been made therein akin to those in repealed Section 4(b) except that reference by a company in respect of an abated proceeding is to be made to the National Company Law Tribunal within 180 days of the Code coming into force. Such a reference is required to be dealt with in accordance with the provisions of the Code. The code has been enacted and given effect to w.e.f. 1.12.2016. Relevant details thereof will be noticed hereinafter. 4. At this stage, it will also be necessary to take note of the fact that the National Company Law Tribunal envisaged under the Companies (Second Amendment) Act of 2002 has been authorized to exercise and discharge its powers and functions with effect from 1.6.2016 and, in fact, the Tribunals with Benches throughout the country have since been constituted and are presently functioning. “consolidate and amend the laws relating to reorganisation and insolvency resolution of corporate persons, partnership firms and individuals in a time bound manner for maximisation of value of assets of such persons, to promote entrepreneurship, availability of credit and balance the interests of all the stakeholders including alteration in the order of priority of payment of Government dues and to establish an Insolvency and Bankruptcy Board of India, and for matters connected therewith or incidental thereto”. the recovery of any property by an owner or lessor where such property is occupied by or in the possession of the corporate debtor. Section 16 of the Code visualizes the appointment of an interim resolution professional to manage the affairs of the corporate debtor. Such appointment is to be made by the Adjudicating Authority. “25(1) It shall be the duty of the resolution professional to preserve and protect the assets of the corporate debtor, including the continued business operations of the corporate debtor. Section 30 of the Code contemplates submission of a resolution plan and approval thereof by the Adjudicating Authority failing which the liquidation process of the corporate debtor as contemplated in Chapter III of the Code would be required to be initiated. 7. The above provisions of the Code have been noticed in some detail and the provisions thereof, so far as the same are material for the purposes of the present case, have also been extracted and highlighted. We may now proceed to examine and see what has happened in the present case. 8. Briefly the facts relevant are as follows. On 23.07.2013 the respondent No. 1 company-Zenith Infotech Ltd. filed a Reference before the Board for Industrial and Financial Reconstruction (hereinafter for short “the Board”) under Section 15 of the SICA. The said application was refused registration by the Registrar of the Board on 12.08.2013 on the ground that respondent No.1 company is not an industrial company within the meaning of Section 3(e) and 3(f) of the SICA. An appeal was filed by the respondent No. 1 company before the Secretary of the Board against the order of Registrar which was dismissed on 13.09.2013. There was a further appeal to the Chairman of the Board against the order of the Secretary. Though the maintainability of the second appeal before the Chairman of the Board would be in serious doubt in view of the provisions of Regulation 19(4) read with sub Regulation 8 (1) and (2) of Regulation 19 of the Board for Industrial and Financial Reconstruction Regulations, 1987 (hereinafter for short “the Regulations”) it will not be necessary to deal with the said question in the present proceedings except to state that the Chairman of the Board also dismissed the second appeal filed by the respondent No. 1 company by order dated 03.04.2014. 9. What would be of significance is the events that had transpired while the matter was before the authorities of the Board, namely, the Secretary and Chairman of the Board. It appears that on 30.07.2013 a petition for winding up of the respondent No.1 company was admitted by the High Court of Bombay and the order of admission was affirmed by the Division Bench in appeal. The approach to this Court also was not successful with the Special Leave Petition filed by the respondent No.1 company having been dismissed on 30.09.2013. Thereafter, it appears that on 13.12.2013 the High Court of Bombay passed orders for winding up of the respondent No. 1 which was upheld in appeal by the Division Bench of the High Court on 23.04.2014. Though, a stay was ordered by the High Court of its winding up order till 31.08.2014, it would appear that the High Court understood the said interim order to have been vacated by efflux of time, in the absence of any specific order of extension. Thereafter the Official Liquidator came to be appointed by the High Court on 02.09.2014. 10. The orders of the Secretary and Chairman of the Board rejecting the application for Reference filed by the Respondent No.1 company were subjected to a challenge in a writ petition filed by the respondent-company before the Delhi High Court out of which the present proceedings have arisen. 11. Two questions arose before the High Court of Delhi in the writ petition. The first was whether the dismissal of the application for Reference by the Registrar, Secretary and Chairman of the Board was within the jurisdiction of the said authorities. The second question, which was implicit if there was to be a positive answer to the first, is whether in view of the order of winding up passed by the Company Court, and affirmed by the Division Bench of the Bombay High Court, there is any further scope for registration of the Reference sought for by the respondent No. 1 company under the provisions of the SICA if the order declining registration by the aforesaid authorities is to be understood to be non est. 12. 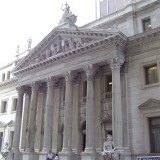 The High Court, by the impugned order, took the view that under the provisions of the SICA read with the Regulations, the Registrar and the other authorities like the Secretary and the Chairman of the Board have not been conferred any power of adjudication which would necessarily be involved in determining the question as to whether the respondent No.1 company is an industrial company within the meaning of Section 3(e) and 3(f) of the SICA. Since an adjudicatory function and role has been performed by the Registrar, whose order has been affirmed by the Secretary and the Chairman of the Board and as registration of the Reference sought for by the respondent No. 1 company was refused on that basis the said orders are non est in law. Regarding the second question, the High Court of Delhi relying on the decisions of this Court in Real Value Appliances Ltd. Vs. Canara Bank and Others and Rishabh Agro Industries Ltd. Vs. P.N.B. Capital Services Ltd. came to the conclusion that the winding up order passed by the Company Court would not foreclose the proceedings under the SICA and registration of a Reference under Section 15 and the inquiry under Section 16 can still be made. The question that was agitated in the present appeal is consequential to the above determination and revolve around the application of Section 22 of SICA to bar further steps in the winding up proceeding before the High Court. The above question would no longer survive in the context of the provisions of the now repealed Act but would still require an answer from the stand point of the provisions of the Insolvency and Bankruptcy Code in force with effect from 1.12.2016. (2) The Benches shall be constituted by the Chairman and each Bench shall consist of not less than two Members. (3) If the Members of a Bench differ in opinion on any point, the point shall be decided according to the opinion of the majority, if there is a majority, but if the Members are equally divided, they shall state the point or points on which they differ, and make a reference to the Chairman of the Board or, as the case may be, the Appellate Authority who shall either hear the point or points himself or refer the case for hearing on such point or points by one or more of the other Members and such point or points shall be decided according to the opinion of the majority of the Members who have heard the case including those who first heard it. (c) the delegation to one or more Members of such powers or functions as the Board or, as the case may be, the Appellate Authority may specify. (2) In particular and without prejudice to the generality of the foregoing provisions, the powers of the Board or, as the case may be, the Appellate Authority, shall include the power to determine the extent to which persons interested or claiming to be interested in the subject-matter of any proceeding before it may be allowed to be present or to be heard, either by themselves or by their representatives or to cross-examine witnesses or otherwise to take part in the proceedings. The Board or the Appellate Authority shall be deemed to be a civil court for the purposes of section 195 and Chapter XXVI of the Code of Criminal Procedure, 1973 (2 of 1974) and every proceeding before the Board or the Appellate Authority shall be deemed to be a judicial proceeding within the meaning of sections 193 and 228 and for the purposes of section 196 of the Indian Penal Code (45 of 1860). 14. In addition, Section 16 deals with the inquiry to be made by the Board for determining whether an industrial company has become sick, whereas Section 17 deals with the power of the Board to make suitable orders on completion of inquiry. 15. Under Section 13 of the SICA the Board has enacted a set of Regulations, namely, the Board for Industrial and Financial Reconstruction Regulations, 1987. Chapter II of the Regulations deals with References sought under Section 15 of the Act (SICA) and contains provisions as to how such References are required to be made and dealt with. Regulation 19 would need to be extracted to show what is contemplated to be the role of the Registrar and the Secretary on receipt of a Reference. The said provision therefore is extracted below. (ii)in Form AA in respect of a Government Company,] and shall be accompanied by five further copies thereof alongwith four copies each of all the enclosures thereto. and shall be accompanied by five further copies thereof alongwith four copies each of all the enclosures thereto. (3) A reference may be filed either by delivering it at the office of the Board or by sending it by registered post. [(4) On receipt of a reference, the Secretary, or as the case may be, the Registrar shall cause to be endorsed on each reference, the date on which it is filed or received in the office of the Board. (5) If on scrutiny, the reference is found to be in order, it shall be registered, assigned a serial number and submitted to the Chairman or assigning it to a Bench. Simultaneously, remaining information/ documents required, if any, shall be called for from the informant. (6) If on scrutiny, the reference is not found to be in order, the Secretary or, as the case may be, the Registrar may, by order, decline to register the reference and shall communicate the same to the informant. (8) (1) An appeal against the order of the Registrar declining to register a reference shall be made by the aggrieved person to the Secretary within fifteen days of communication to him of such an order. 16. From the provisions of Regulation 19(5) it would appear that on receipt of a Reference under Regulation 19(4) the Secretary or the Registrar, as may be, after making an endorsement of the date on which the same has been received in the office of the Board is required to make a scrutiny and, thereafter, if found to be in order, to register the same; assign a serial number thereto and place the same before the Chairman for being assigned to a Bench. After completion of the aforesaid exercise under Regulation 19(5) the later part of the said Regulation contemplates that simultaneously, remaining information/documents required, if any, may be called for from the applicant. Regulation 20 contained in Chapter III and Regulation 21 contained in Chapter IV deal with the manner in which the proceedings of inquiry after registration of the Reference is to be made. 17. Regulation 19(5) extracted above, requires the Registrar or the Secretary, as may be, to make an endorsement of the date of receipt of the Reference [Regulation 19(4)] and thereafter on scrutiny thereof to register the same and place before the Chairman for being referred to the Bench. When the Regulations framed under the statute vests in the Registrar or the Secretary of the Board the power to “scrutinize” an application prior to registration thereof and thereafter to register and place the same before the Bench, we do not see how such power of scrutiny can be understood to be vesting in any of the said authorities the power to adjudicate the question as to whether a company is an industrial company within the meaning of Section 3(e) read with 3(f) and 3(n) of the SICA. A claim to come within the ambit of the aforesaid provisions of the SICA i.e. to be an industrial company, more often than not, would be a contentious issue. In the present case, it certainly was. The specific stand of the respondent No. 1 company in this regard need not detain the Court save and except to state that by a detailed description of the manufacturing process the respondent No. 1 company had sought to contend that it is an industrial company. 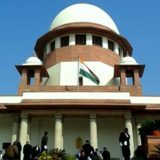 Surely, the rejection of the above stand could have been made only by a process of adjudication which power and jurisdiction clearly and undoubtedly is vested by the SICA and the Regulations framed thereunder in a Bench of the Board and not in authorities like the Registrar and the Secretary. In this regard, one can only be reminded of the observations made by this Court in paras 13 and 14 in the case of Jamal Uddin Ahmad Vs. Abu Saleh Najmuddin and Another which may be extracted below. “13. The functions discharged by a High Court can be divided broadly into judicial and administrative functions. The judicial functions are to be discharged essentially by the Judges as per the Rules of the Court and cannot be delegated. However, administrative functions need not necessarily be discharged by the Judges by themselves, whether individually or collectively or in a group of two or more, and may be delegated or entrusted by authorization to subordinates unless there be some rule of law restraining such delegation or authorization. Every High Court consists of some administrative and ministerial staff which is as much a part of the High Court as an institution and is meant to be entrusted with the responsibility of discharging administrative and ministerial functions. There can be “delegation” as also there can be “authorization” in favour of the Registry and the officials therein by empowering or entrusting them with authority or by permitting a few things to be done by them for and on behalf of the Court so as to aid the Judges in discharge of their judicial functioning. Authorization may take the form of formal conferral or sanction or may be by way of approval or countenance. Such delegation or authorization is not a matter of mere convenience but a necessity at times. The Judges are already overburdened with the task of performing judicial functions and the constraints on their time and energy are so demanding that it is in public interest to allow them to devote time and energy as much as possible in discharging their judicial functions, relieving them of the need for diverting their limited resources of time and energy to such administrative or ministerial functions, which, on any principle of propriety, logic, or necessity are not required necessarily to be performed by the Judges. Receiving a cause or a document and making it presentable to a Judge for the purpose of hearing or trial and many a functions post- decision, which functions are administrative and ministerial in nature, can be and are generally entrusted or made over to be discharged by the staff of the High Court, often by making a provision in the Rules or under the orders of the Chief Justice or by issuing practice directions, and at times, in the absence of rules, by sheer practice. The practice gathers the strength of law and the older the practice the greater is the strength. The Judges rarely receive personally any document required to be presented to the Court. Plaints, petitions, memoranda or other documents required to be presented to the Court are invariably received by the administrative or ministerial staff, who would also carry out a preliminary scrutiny of such documents so as to find that they are in order and then make the documents presentable to the Judge, so that the valuable time of the Judge is not wasted over such matters as do not need to be dealt with personally by the Judge. 14. The judicial function entrusted to a Judge is inalienable and differs from an administrative or ministerial function which can be delegated or performance whereof may be secured through authorization. 18. The High Court, in view of what has been discussed above, was correct in coming to the conclusion that the refusal of registration of the reference sought by the respondent Company by the Registrar, Secretary/Chairman of the Board was non-est in law. The reference must, therefore, understood to be pending before the Board on the relevant date attracting the provisions of Section 252 of the Insolvency and Bankruptcy Code. 19. The second question arising before the High Court, namely, whether the reference before the Board stood foreclosed by the order of winding up of the respondent Company and the appointment of liquidator was answered in the negative relying on Real Value Appliances Ltd. (supra) and Rishab Agro Industries Ltd. (supra). The core principles laid down in the said decisions of the Court, namely, that immediately on registration of a reference under Section 15 of the erstwhile SICA, the enquiry under Section 16 is deemed to have commenced and that the winding up proceedings against a company stood terminated only after orders under Section 481 of the Companies Act, 1956, are passed, will have to be noticed to adjudge the correctness of the said view of the High Court. In any event, the aforesaid question becomes redundant in view of our conclusion that the reference sought by the respondent Company must be deemed to have been pending on the date of commencement of the Insolvency and Bankruptcy Code, particularly, Section 252 thereof (effective 1.11.2016). 20. We, therefore, dispose of the appeal by holding that it would still be open to the respondent Company to seek its remedies under the provisions of Section 252 of the Code read with what is laid down in Sections 13, 14, 20 and 25. We make it clear that we should not be understood to have expressed any opinion on the scope and meaning of the said or any other provisions of the Code and the adjudicating authority i.e. National Company Law Tribunal would be free and, in fact, required to decide on the said questions in such manner as may be considered appropriate. 21. Appeal, consequently, is disposed of accordingly. ………………..,J. (ABHAY MANOHAR SAPRE) NEW DELHI FEBRUARY 21, 2017. Tags: BANK OF NEW YORK MELLON LONDON BRANCHCIVIL APPEAL NO.3055 OF 2017RANJAN GOGOI ABHAY MANOHAR SAPREZENITH INFOTECH LIMITED .